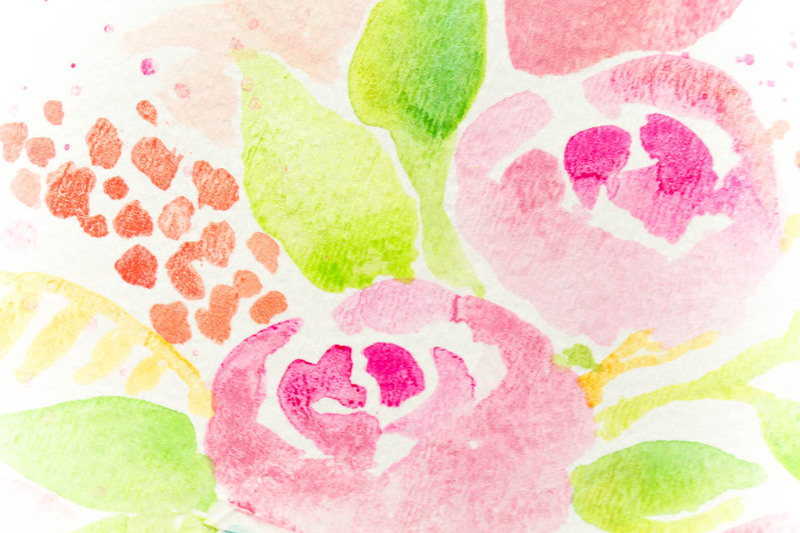 Hello artsy friends! It's Zinia here and welcome back to the Shimmerz blog! 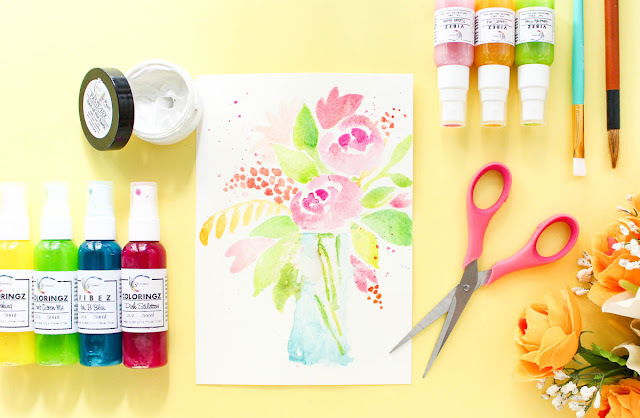 Today we are gonna dive into the world of watercolors and create a unique art piece using Shimmerz sprays. We all love watercoloring with Inklingz and Creameez but did you know you can do it with your mists too? 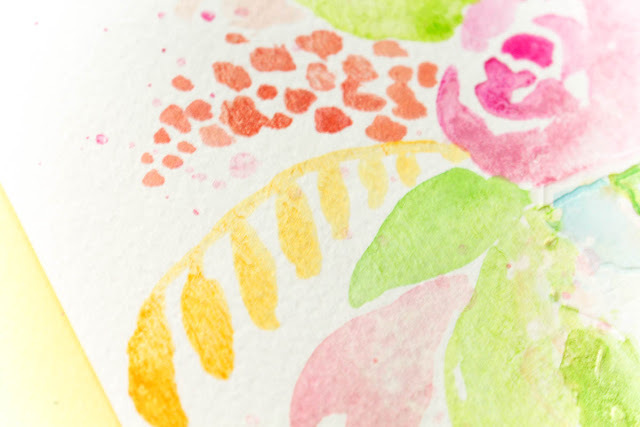 In today's project I'm sharing with you how I created this abstract watercolor bouquet with my favorite Vibez and Coloringz. 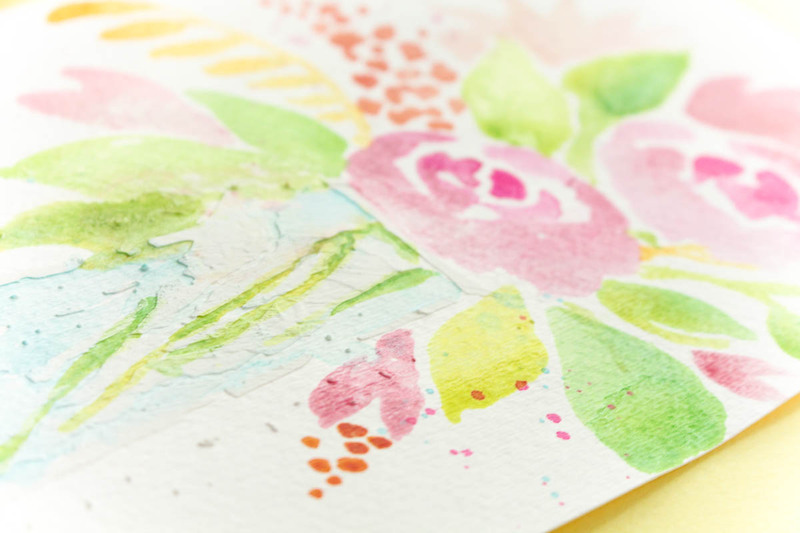 I didn't really feel like painting the vase for he base of my page so I used a stencil by Donna Downey studios and the Salt of the Eart Paste-eez to add the impression of a container. After it dried I added a little bit of color using my favorite Vibez, Jeni B Blue. Before I started painting, I pre-mixed all my colors in a little palette so I have everything ready to go. 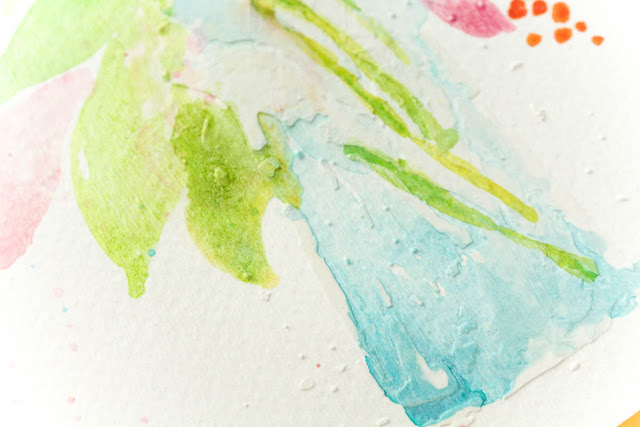 I used a pipette to add the sprays on my palette so I won't need to dip my paintbrush in the bottle every time and risk contaminating my colors. The rest of the products I used are: Vibez - Hermit the Frog, Sunset Strip and Sweet Heart, Coloringz - No Yoking, Pink Stilettos and Don't Citron Me. The actual painting process is very loose and intuitive. You basically let the color lead the way. To create the roses you just draw a few "C" shapes going out from the middle while you water down the color as you go. You can follow along the video and use the exact strokes if you are a beginner or allow yourself to experiment a little bit and try to create your own composition. Whatever you chose be sure to enjoy the process. 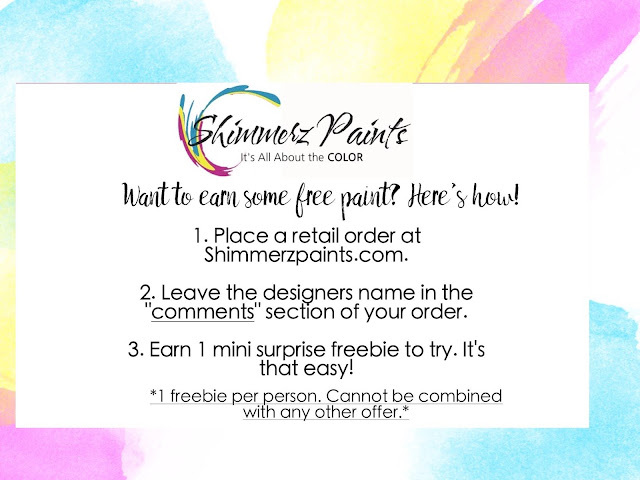 If you want to grab a some of these gorgeous supplies to create your own version of this project or just to expand your Shimmerz collection, make sure to mention my name "Zinia" at the comment section of your order to receive a FREE Shimmerz product! I really hope you got inspired. Until next time, happy crafting.